The Saudi government is considering two ways of selling the state-owned oil company, according to a Wall Street Journal report on Friday (Oct. 13, 2017). And neither plan involves the record-shattering public offering that attracted investors to the Aramco IPO. With a valuation as high as $2 trillion, a 5% public offering could raise $100 billion, four times the size of the current record-high IPO of Alibaba Holding Group Ltd (NYSE: BABA). Money Morning readers aren't surprised by the news that the IPO is in doubt. We've documented the hurdles standing in the way of the Aramco IPO, including its inflated valuation and the inexperienced 31-year-old Crown Prince behind the public offering. The Saudi government is reportedly considering either selling a part of Aramco to a private buyer or listing some shares on the stock exchange in Riyadh. Neither plan will lead to the soaring numbers that have attracted investors to the Aramco IPO process. WSJ reported that a Chinese buyer made an offer to buy a stake in Aramco, and the Saudi government is now considering it. The newspaper also reported that Aramco officials are considering listing shares of the company exclusively on the Saudi Arabian stock exchange. While this would still be considered an "IPO," it wouldn't have nearly the same impact of a listing on a major international stock exchange like the New York Stock Exchange or the London Stock Exchange. And a listing in Riyadh would be a roadblock for retail investors who want to own shares of the company. As Money Morning readers know, the Aramco IPO process has been slowed by the public disclosure rules required at the major exchanges. The Saudi government has to separate itself completely from a company it has been entangled with since 1980. Plus, financial disclosure rules could divulge Saudi state secrets about the country's oil supply. A private sale to a Chinese investor, or listing shares only in Riyadh, could help the company raise money without solving this thorny problem. 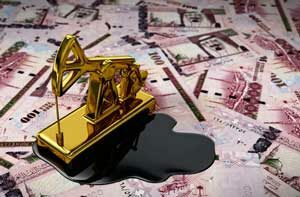 But Money Morning Global Energy Strategist Dr. Kent Moors says this won't make the country the kind of money it was expecting. "It isn't likely to provide the same capital pop," Moors said. That's a problem for the Saudi government. Saudi Arabia realizes it can't rely on its oil forever, and it planned to sell Aramco to raise money in an effort to diversify its economy away from oil. Saudi Arabia currently gets 90% of its revenue from oil sales. But getting less "pop" for selling off part of its "crown jewel" might not be worth it. It's likely rumors of a private sale or a sole listing in Riyadh are just Aramco officials mulling all possible options while preparing for the IPO. In fact, Saudi officials are now pushing back on the WSJ report. An Aramco spokesperson told CNBC on Friday that "the IPO process remains on track." Aramco doesn't have any easy options right now, but we're continuing to follow any developments. To receive immediate updates on the Aramco IPO straight to your inbox, be sure to sign up for our complimentary Profit Alert service. A discovery of 20 billion barrels of oil was just made in west Texas last year. The oil is worth more than $1 trillion, more than ten times the value of the Aramco public offering.